Shock arrest of leader could actually present an opportunity, according to experts. The arrest of Nissan chairman Carlos Ghosn on Monday stunned Japan and the wider business community, sending shares of Nissan and Renault plummeting. Following a whistleblower report, Ghosn, widely seen as the most powerful figure in the automotive industry, has been jailed in Japan along with an accomplice, representative director Greg Kelly, for allegedly underreporting compensation for a number of years. Nissan said in a statement that it had uncovered other "significant acts of misconduct" by Ghosn, including personal use of company assets. The company apologised and said it would move promptly to remove Ghosn and Kelly from their positions. Ghosn is credited with turning Nissan around from near-bankruptcy in 1999 and was responsible for forging the company’s alliance with Renault and Mitsubishi. The incident has raised questions as to what life without Ghosn means for the brands he oversaw. The turmoil the news has created is indicative of how closely Ghosn is tied to the alliance, even though Nissan chief executive Hiroto Saikawa has said the formation is bigger than a single person. The sudden nature of the allegations and the fact that they relate to alleged misconduct that took place over a sustained period suggest Nissan was seeking a way to oust the 64-year-old Ghosn. Despite Nissan’s global status, cultural clash appears to have played a role. Some have likened the scenario to a "palace coup". "Ghosn was once among the world’s most charismatic chief executive communicators," Bob Pickard, principal of Toronto-based Signal Leadership Communication and who worked with Nissan in Japan and media-trained some of the company’s C-suite, said. "He was a powerful traditional public relations asset to Nissan, a signal personifier of a storied Japanese brand that he helped save from disaster. "However, among the Japanese within his own organisation, there always was an undercurrent of resentment about Ghosn, whose celebrity chief executive status and superstar pay package rankled the rank-and-file who were culturally accustomed to a more self-effacing collectivist approach, with a less swashbuckling, individualistic style from the leader." At the same time, Pickard suggested, Ghosn’s value as the face of Nissan had diminished. Pickard added that Ghosn’s slick and impersonal style of engagement with the public was not ideal for the social media age. "Ghosn’s most major impact on Nissan is in the past, and because he spread himself thinner at Nissan by taking the reins at the alliance with Renault in France, I think his departure is a sad but timely opportunity for a Nissan brand reboot and image modernisation," Pickard said. 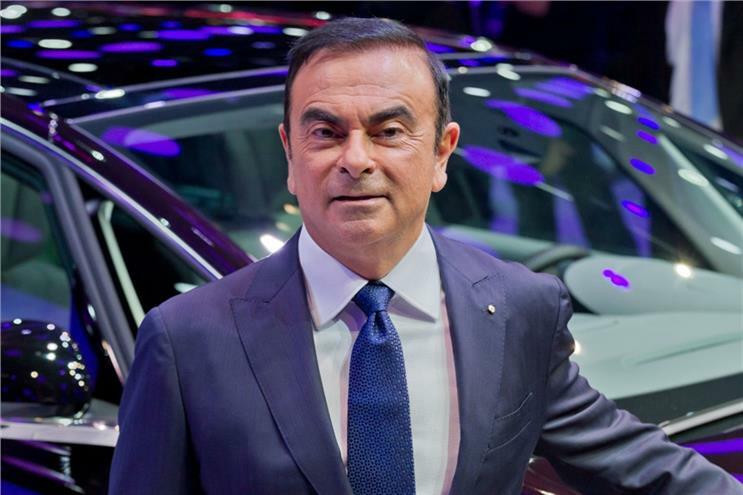 From a consumer perspective, the news surrounding Ghosn is unlikely to have much impact on brand perception, Charles Lankester, the Hong Kong-based executive vice-president of reputation management at Ruder Finn, said. He contrasted the situation with that of Volkswagen’s emissions scandal, which sparked public outrage as well as a severe fall in share price. As the "Ghosn-gate" story plays out, the various companies involved "can expect some lurid headlines", Lankester said, "but it will be very much about him the individual versus anything endemic at the companies". At the time of writing, share prices are down an average of 12%. Lankester noted that Volkswagen’s valuation had struggled to rebound post-scandal, but he thought the prospects were much better for Nissan and the alliance. "From an investor point of view, the real challenge will be for Renault, Mitsubishi and Nissan to demonstrate they have clear plans in place to navigate the turbulence, show new leadership, clear strategy and to keep growing, improving and evolving the businesses," he said. "Consumers buy brands, but investors look at it as a business, of which the brand is a component. Right now, investors place a 12% valuation on Ghosn’s leadership. I would imagine if the companies show leadership… the share price should come back quite quickly." He said continuing to communicate clearly would be key: "If they go dark, that will be an absolute disaster." While Lankester said Ghosn had achieved the rare status of a legend over the course of his career, he advocated moving swiftly on: "If I was advising the boards of the various companies, in this case I’d suggest an eight-word strategy: 'The king is dead. Long live the king.'" More generally, Lankester said companies needed to be prepared for "ever more complex risk scenarios, including inappropriate or illegal behaviour of the most senior leadership". He said that was a topic most people are uncomfortable with. "Companies need to start asking these difficult questions," he noted.